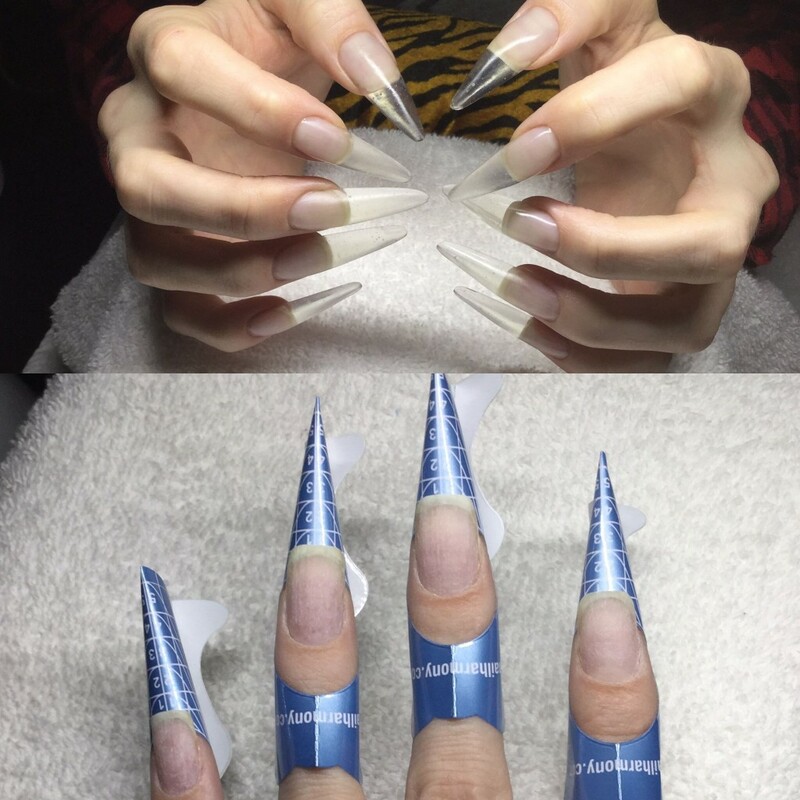 I had to amazing opportunity to be a model for the super talented Russian nail artist Tanya. 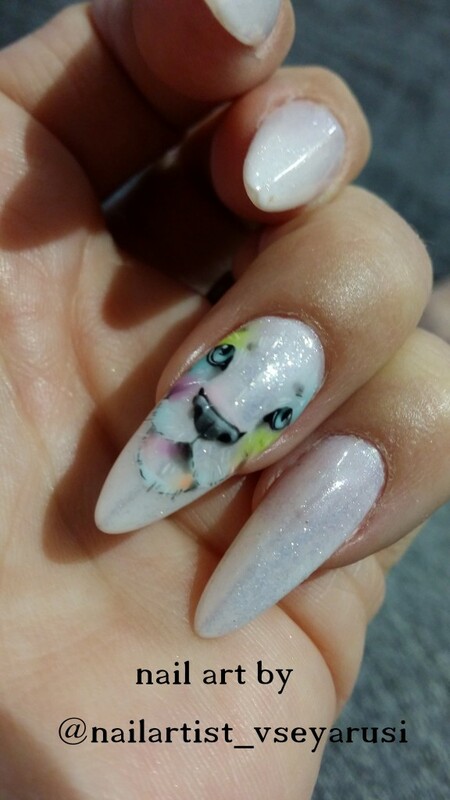 She HAND PAINTED this gorgeous lion on my finger nail for me during the class. This was done on July 22, 2016. This was all done with Akzentz Luxio line! Tayna really likes the consistency of the gel for doing intricate art such as my Lion! It does blend beautifully and as I have said, with gel, if you don’t like it, wipe it off and start again! When when I got home I added a crown to my beautiful Lion! 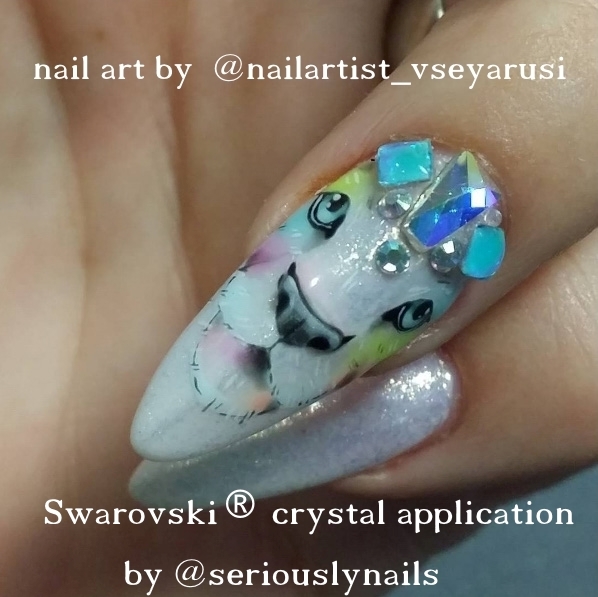 I simply couldn’t let go of this beauty when it came time to do my nails again, so I added more Swarovksi® crystals to be able to wear her longer! Well, actually, I was ready yesterday but I had to jump on a plane before I got to post it. It actually worked out for the post today though. Yesterdays prompt was Ornaments. I had SO much fun making these babies! I used Akzentz powder (gel play in Opal) to create these 3D effect ornaments. I hope you like them. 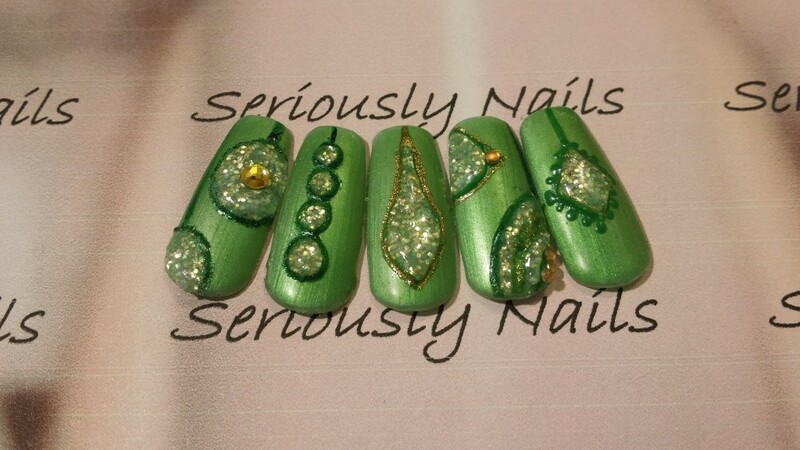 I outlined them in Gel Play colors of green sparkle and vintage gold for some definition. 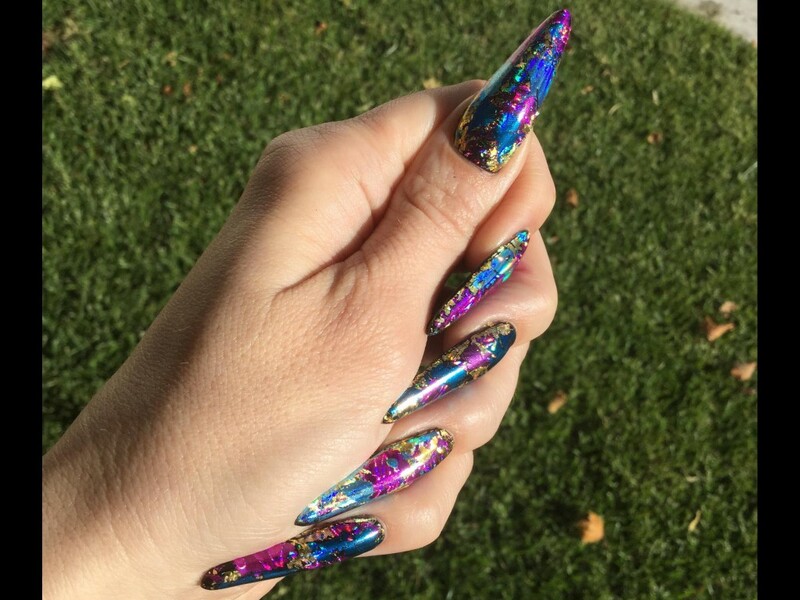 The back ground color is from OPI, “My Gecko Does Tricks” with a matte top coat by OPI. 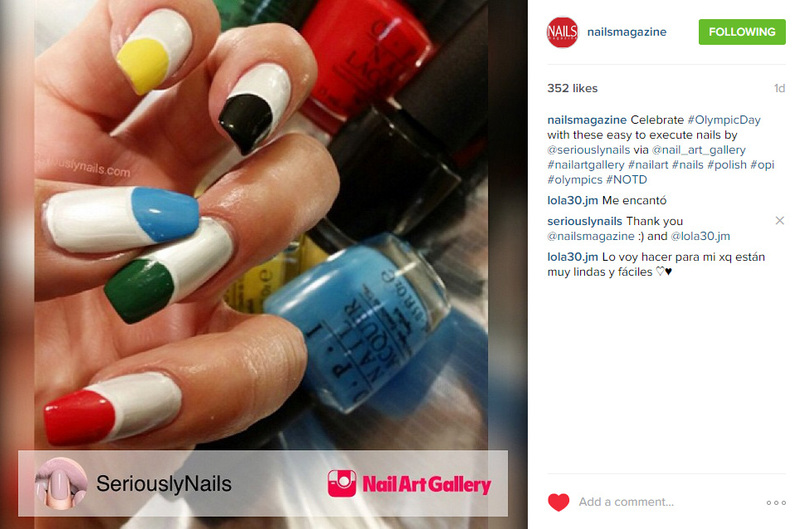 I always feel so blessed and honored when my work is talked about by Nails Magazine. You know I speak to people in the industry and they are afraid to send in work to magazines. Hey, just send it in! You never know. 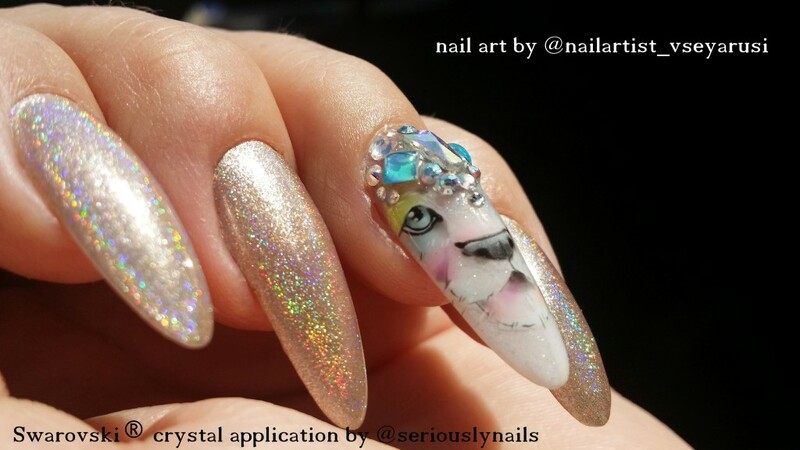 This event came about because I shared all my #31nails2014 nail art challenges in thier Nail Art Gallery Magazine. 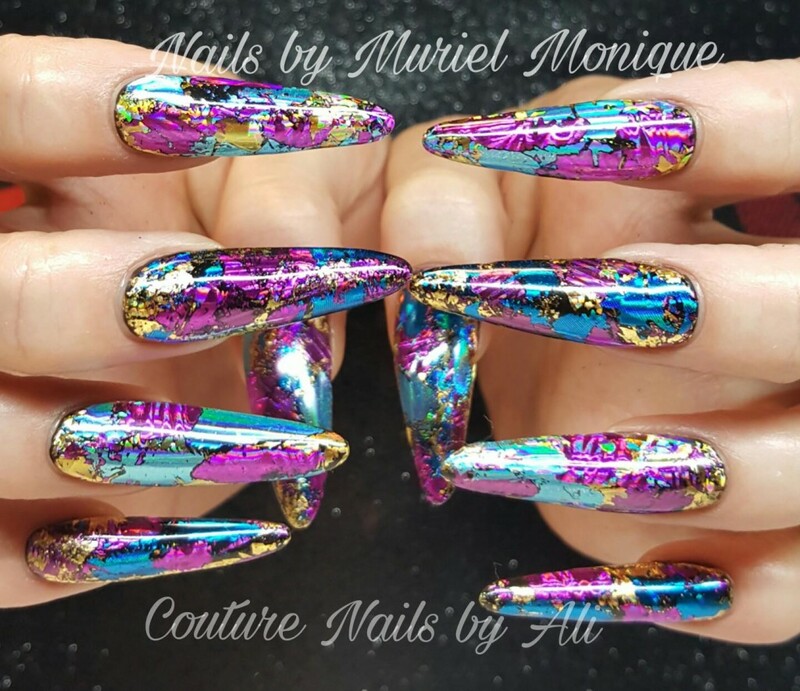 It is a free to use and view online forum so that we can share our work with other nail art lovers!